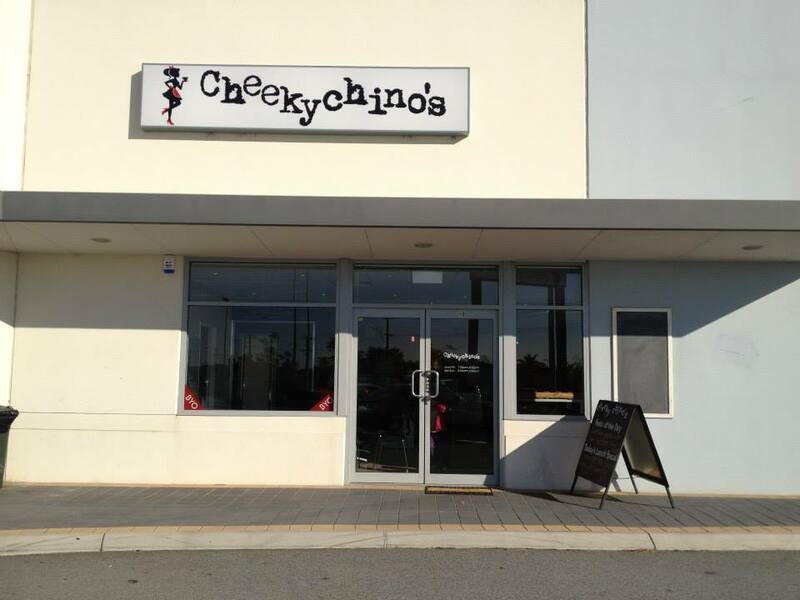 Not too far from home, a new café recently opened up called Cheeky Chinos. I’d seen their Facebook page and followed them on Twitter and was aware that it’s a café where dogs are welcome. Given the new addition to our household, lil’ Chablis, I kept this café in the back of my mind as a place I needed to visit. I was reminded of this on receiving a tweet from someone singing the praises of Cheeky Chinos and providing me with a photo of their breakfast, which looked delicious! So enough procrastinating, GG and I were going to give it a try. We arrived around 8.30am on a Sunday and there was already a decent crowd in attendance. 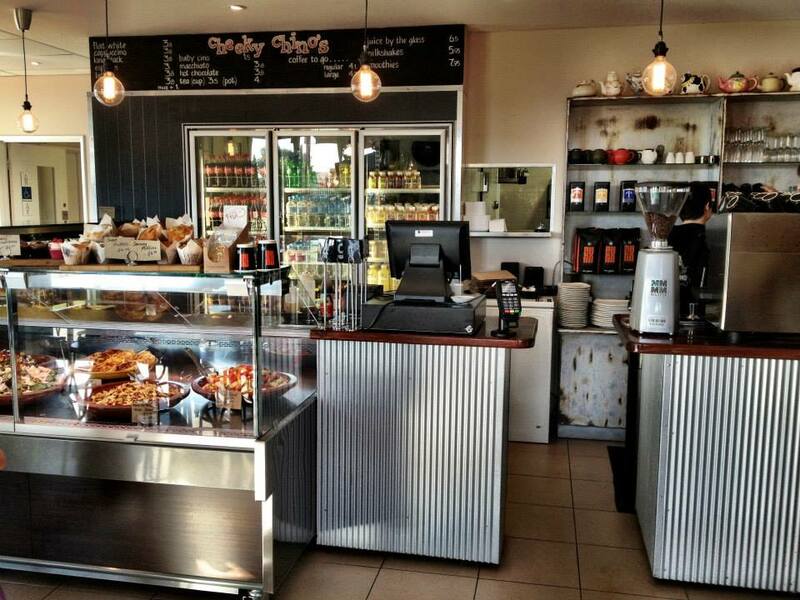 The café is located in the shopping complex on the corner of Cedric Street and Karrinyup Road and offers both indoor seating, as well as some tables set up on grass outside for those who have brought along four legged friends. We found a table in the pet zone and I went inside to locate some menus, while GG did his best to calm down Chablis who was beside herself with the excitement of her first breakfast excursion. It is an interesting menu, not overly long, but some appetising choices available. They do note on their menu that no substitutions to the dishes are possible. Quite a bold decision I thought, but clearly they are happy with the flavour combinations as they stand and believe they should be enjoyed that way. So GG with ever the large appetite locked in the Big Breakie that came with eggs (either poached, fried or scrambled), bacon, mushrooms, tomato, chevups (those little skinless sausages) and also a homemade hash brown. While I would have just been happy with poached eggs on toast I decided I would give the Voluptuous Vego a go, as it did include a poached egg. 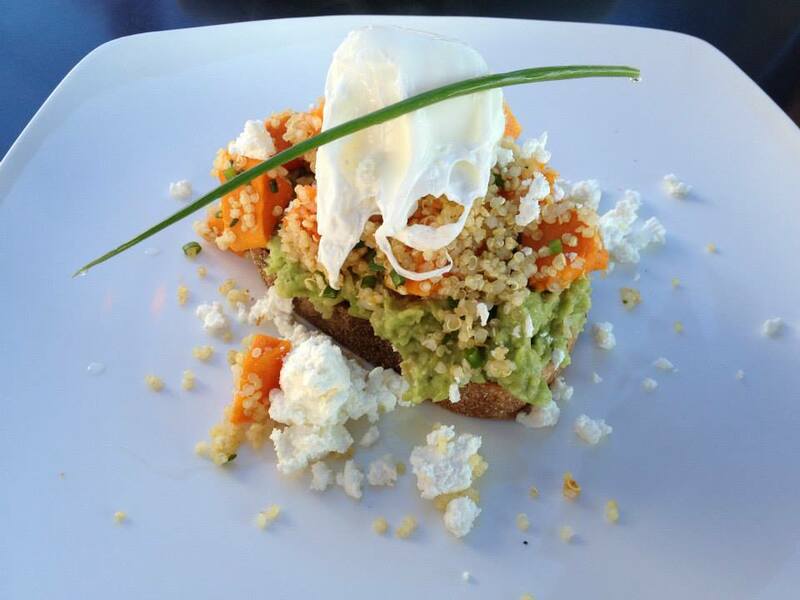 My dish was a lavish combination of cubed pumpkin pieces with quinoa and mashed avocado on sour dough toast. We also ordered coffees, which didn’t take too long to arrive, which was pleasing early on a Sunday morning. Ok 8.30am isn’t that early, but coffee in the morning is essential! Along with our coffees came a small biscuit treat for Chablis, which as you can imagine she thoroughly appreciated! Even though the wintery weather was on the chilly side it was a nice spot to sit and despite the proximity to the road, it still had a secluded feel to it. Before too long it was time for our meals. 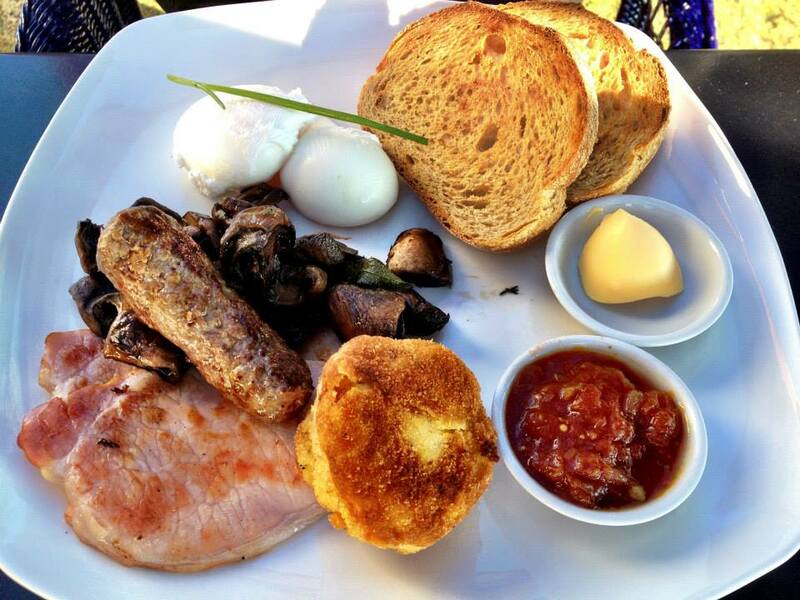 It was quite the impressive spread for GG on this big breakie plate and he eagerly tucked in. Mine too was a generous serve and presented very well. Of course the test with any poached egg is that first cut. Would there be that perfect river of golden yolk? I cautiously sliced…and there it was. Yolky goodness. I enjoyed my dish and the pumpkin was wonderfully sweet and cooked perfectly so it still held its shape. Plenty of quinoa and ample avocado. I enjoyed it, but given the season I almost wished that the quinoa and pumpkin had been warmed through to match the hot egg. For summer though, I can see the chilled combination working perfectly. So yes it had been something different and despite the temperature the flavours were enjoyable. GG was largely pleased with his breakfast, but we officially decided though that he is not a fan of potato with his breakfast. I sampled the homemade hash brown, which I sort of considered more of a potato cake and I quite liked it. It had seeded mustard through it, which worked well on the flavour front. More exciting than plain spud in any event. So our first visit to Cheeky Chinos and our first breakfast out with Chabs had been a success. 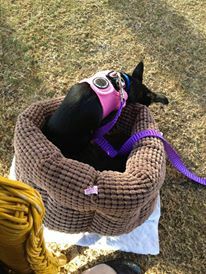 She had actually behaved quite well. Happy to just sit in her little bed and play with her toys. I’d liked the food and service had been super friendly! Next Chobani – Happy Fridge! Great pictures. Looks like it was good. Thanks 🙂 was a nice spot! Always good to go somewhere that doesn’t mind dogs. 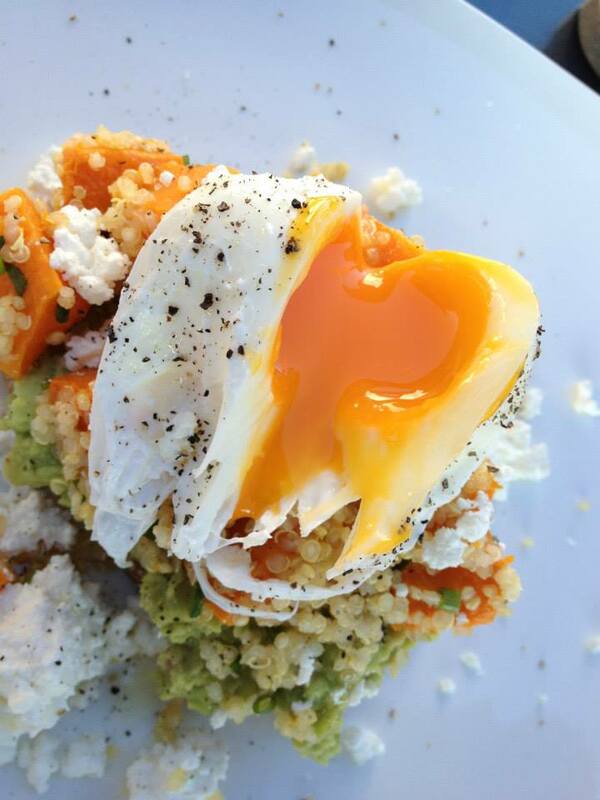 I’ve had a similar quinoa dish where the quinoa was really crunchy do nice complement to the runny poached egg. 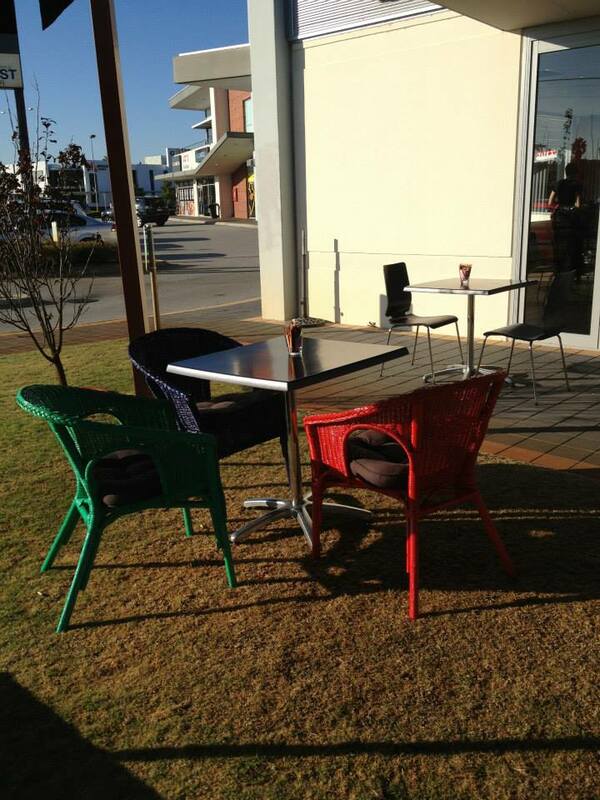 Dining is getting so much better in sunny Perth! Even though I don’t eat Poached Eggs I would not mind trying this.